Congrats to Melanie M, who won Shattered Glass by Dani Alexander! Congrats to Tawnie and Chava, who won Mine by Mary Calmes! Mine will be released by Dreamspinner Press on March 5. Becky Black is giving away an ebook copy of her freshly released Higher Ground. Contest closes 9 am GMT, March 3. Joyfully Jay is giving away an ebook copy of A Life Without You by Erica Pike. Contest closes 11:59 pm EST, March 4. Babes in Boyland is giving away an ebook copy of Stroke! by MJ O’Shea. Make sure you read the directions when you enter the contest, which closes at 9 pm PST, March 4. Pants Off Reviews is giving away an ebook from Anne Brooke’s backlist. Comment by 12:00 am EST, March 6. Blodeuedd’s giving away two copies of The Rogue Pirate’s Bride by Shana Galen. Contest closes March 8. US & Canada. Joder’s giving away an ebook copy of Freestyle Love by Marcus Lopes. Contest closes 11:59 pm CST, March 10. New releases and more: Elisa Rolle (LGBTQ), Tor.com (UF, genre benders, scifi, fantasy), Literary Escapism (UF/PNR), and Book Lovers Inc (a little of everything). Elisa Rolle has posted the guidelines for the 2012 Rainbow Awards. “One Million Moms” tried to get the gay wedding issue of Life with Archie (#16) removed from Toys’R’Us. Despite their efforts, the issue’s first printing has already sold out. Dear Author has a nice summary of the PayPal erotica debacle. The Digital Reader wonders whether PayPal will loosen its restrictions. More plagiarism, including accusations of plagiarism in the m/m romance community. A very good post about that. The author responds. Dreamspinner press responds (it’s in the area under “Welcome to Dreamspinner Press”) and is offering Bear, Otter, and the Kid as a free download so people can evaluate the book themselves. Laddie ponders differences of opinion and readers being treated disrespectfully in the m/m romance community. Lauraadriana on respect (or the lack thereof) in the m/m romance community. Dani Alexander discusses the importance of editing, specifically in m/m romance. M/m romance themed linkity from Sloan Parker. What to do with a scary book. Overview of the ebook library lending policies of the major publishers. The Book Bloggers & Publishers Online Conference runs March 7 through 11. Read an Ebook Week is March 4 through 12. Why status bars on the computer screen aren’t reliable. Whoops – Google’s new “privacy” policy violates EU law. Here’s how to remove your YouTube history so Google’s not keeping track of the videos you watch. Starting in 2013, songs that were copyrighted 35 years ago will begin reverting back to the original artists. This makes record labels very unhappy, and I’m sure we’ll hear a lot about attempts to change the law this year. Lifehacker covers various aspects of copyright law as they apply to our lives. A 385-million year old forest was discovered under the Catskills. How long it takes for nonperishable foods to, well, perish. Just say no to statins. The harmful chemicals your grandparents were exposed to could be affecting your life now. Turns out that women are not born with all the eggs we’ll ever have, but can produce new eggs. Unsurprisingly, the CDC has discovered that sugar, particularly in processed foods and sugary drinks, is making kids fat. Go vote for your favorite gay movies and books in the 2012 Gaybies. How to make a Death Star cake. Gluten-free frosted carrot quinoa bars. Black bean, sweet potato, and quinoa chili. Brown rice bowl with lemongrass, tofu, and cashews. 12 hearty and healthy salads. Han Solo frozen in carbonite crayons. Very meta: an astronaut built a LEGO International Space Station (ISS) model on the ISS. A highlighter that fades after five months so it’s easier for students to sell back their textbooks… too bad it doesn’t exist yet. A Marine is welcomed home by his guy. Girl Scout cookie-flavored candy bar. Famous pictures recreated in… packing tape. A guy was joking about a 55-gallon tub of lube on Facebook and his joke got turned into an ad for the product… an ad that all his friends see when they log in. A meth addict in Florida burned down the world’s fifth oldest tree, a 3500 year old cypress. Wisconsin legislators repealed a law that ensured women could not be paid less than men for doing the same job. Snack food that turns your tongue blue. What MPR’s Bob Collins saw when he looked at the proposed design for a new Minnesota Vikings’ stadium. Lies that East Coast residents have believed about Minnesota. If you’ve always wanted to be a crazy cat lady or guy and simply didn’t have enough cats, there’s hope! When the “boop” game goes awry. Chaos loves those carton rings, too. Baby clouded leopard! Baby cheetah! Black leopards! Tiger and baby! Lioness and baby! Tigers! Kitten! Lioness and baby! Baby lynxes! Baby cheetah! Tiger and baby! Baby cougar! Kitten! Lion and baby! Fennec! Black jaguar and baby (via Bron’s Pinterest)! Baby tern! Ferret! Kitten! Kitten! Cat and kittens! Otters! Taking These Chances by Karuso Tendo. free online. Very good paranormal m/m romantic suspense about a college student who helps get psychic predators off the streets… and then one’s after him. Out of Orbit by American Schokolade. free online. Very good m/m romance about a high school senior who has a crush on his best friend, although it takes him a while (and a lot of angst) to realize it. This story had plenty of over-the-top moments (satellites and spies and baseball memorabilia, oh my! ), but it pretty much worked anyway. I got sniffly more than once. When Love Walked In by Charlie Cochet. ebook short. Very good short historical m/m romance set in 1934 about a private detective who helps out a homeless man he finds sleeping in the stairwell. Of Sweaters and Heartache by LyingOutLoud. free online. Very good short m/m romance about a guy who unexpectedly runs into the ex who left him to take a job in France and doesn’t react well. I got a bit sniffly reading this one. Johnny Was (Just Friends #2) by Natasha5. free online. Although the description says there’s more than one story here, there isn’t. The extremely short story is just a scene that takes place 11 years after Just Friends. Love, Coffee, and a Giant Problem by aggybird. free online. Very good fairy tale m/m romance based on Jack and the Beanstalk… but it’s not complete and was last updated in 2009. Woe! 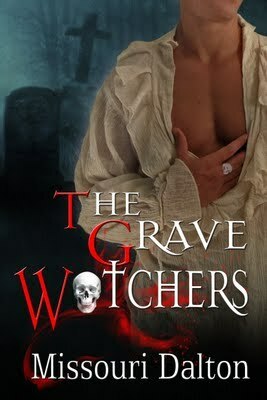 The Grave Watchers by Missouri Dalton. ebook. 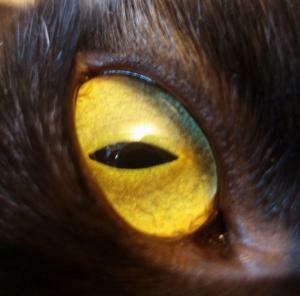 Good m/m urban fantasy with a hint of romance about a Grave Watcher, who helps protect the dead from the living, and his ancient Egyptian feline sidekick as they track down an evil they’ve not seen before. Educating Alex by Ardveche. free online. Very sweet m/m romance about a college student who advertises for a roommate after he breaks up with his boyfriend and is surprised when a straight guy he knows from school wants to move in. Too many exclamation points!! Creative Employment by Noel Blue. free online. Good m/m romance about a newly hired manager who knows he shouldn’t, but hooks up with the irresistible straight, confused, engaged IT guy anyway. In Theory by Sirivinda. free online. Good m/m romance about a straight guy who keeps running into this strangely intriguing guy everywhere he goes… and then wakes up to find himself hungover in the guy’s bed. The ending really felt like it was HFN – I’d definitely like to read a bit more about these two. 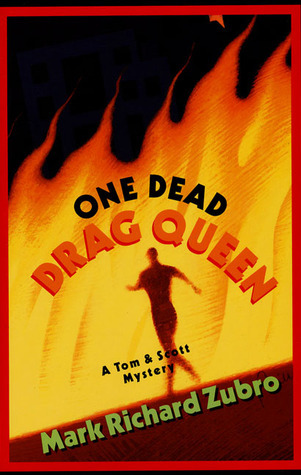 One Dead Drag Queen (Tom & Scott #8) by Mark Richard Zubro. 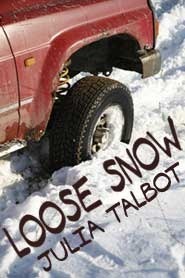 Good gay mystery in which Tom is injured when a family planning clinic he volunteers at is bombed. The beginning of the story was from Scott’s POV (a first!) and the last half was from Tom’s. I understand why it was done that way, but I would’ve preferred sticking with Scott for the whole thing. 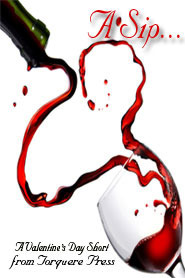 Posted by Chris on Friday, March 2nd, 2012, at 2:00 am, and filed under Linkity linkity link, Reading, Reviewettes. Oh, I hadn’t realised that blogger thing. I don’t actually like the embedded comments form because it was more glitchy than the other types of comment forms :(. Just for you, sweetie, I’ll switch to it :). Yet another reason for me to switch to WP. Lots of free online stories this week! I’ll have to check those out. Oooh, freebie stories.. always a plus… but there goes my weekend! Mayhem- Chris will get you more mousies. There is a old Irish saying that Rosemary will only grow in the garden of a house where the woman is in charge. Does that mean we are smarter, too? A recent post from Bronwyn Green..Saying Goodbye. Again. What is up with Wisconsin anyway? It took me all day to read your Linkity List. I did pick up a few hints and some lovely recipes. Mayhem, Mom and Chaos will protect your fuzzy mice! Poor May. Maybe she should get in touch with the dog who worried abt his bone. A recent post from Lynn..Ignore the rumors……….. Thank you! I will have to get through those bookity links. There’s a lot going on in the m/m world that’s for sure. As for One Million Mums? Seriously…don’t they have anything better to do? May – I’m sure your mother won’t remove the furry mouse. Chaos on the other hand…. The story about the rescue kitty saving that lady’s life is pretty amazing. OMIG, that origami Yoda is so freakin’ cute!! I bow down to whoever made it. Kidlet likes doing origami and wants me to do it with her. Trying to follow the instructions in an origami book… :-O My origami dogs never come out looking remotely like dogs. I wasn’t aware of the changes in blogger’s comment form, but now that you mentioned it… so I set mine to the embedded form today. And maybe next week you can ask kindly if everyone can turn off the captcha thing. 😉 It’s so much more annoying than word verification, don’t you think? Re the wealth/ethics thing, I just re-watched “Sense & Sensibility” the other night, and in it is proof that this is not a new trend. I totally believe the Kickstarter stats, as I just participated in a drive which raised over $1,250,000.00 for reprinting a webcomic. Kinda hard to argue with those numbers. 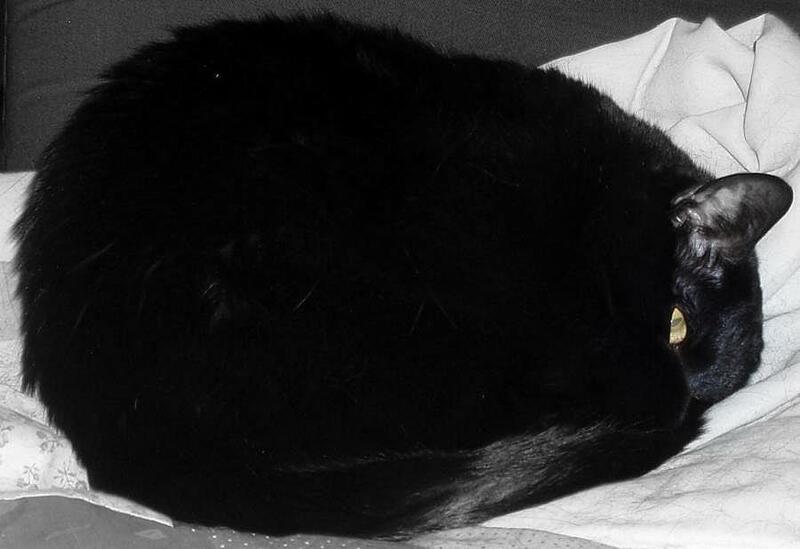 And May, if when you wake up all your fuzzy mice are gone, just let me know. I’ll send you more. I knew there was a reason I liked rosemary. Seriously, records of when I bought food?! I’m lucky to actually buy the food, no way I’m going to make a record of it. I’m not sure which is worse – that the 5th oldest tree got burned down or the picture of the woman who did it. They should use that picture in anti-meth ads. Katie loves to bat around milk carton rings and twist ties. Thinking seriously of growing rosemary this year – I could use a brain boost! Did you make the gf snickerdoodles??? Inquiring minds likes less carbs in her cookies if they still taste good.